The experience integrated Google Maps in a unique mechanism to sort and display food trucks by regions. Users were able to vote via website and SMS messages. During the course of the campaign the website received over 1.5 million votes, of which more than 50k were submitted via SMS. 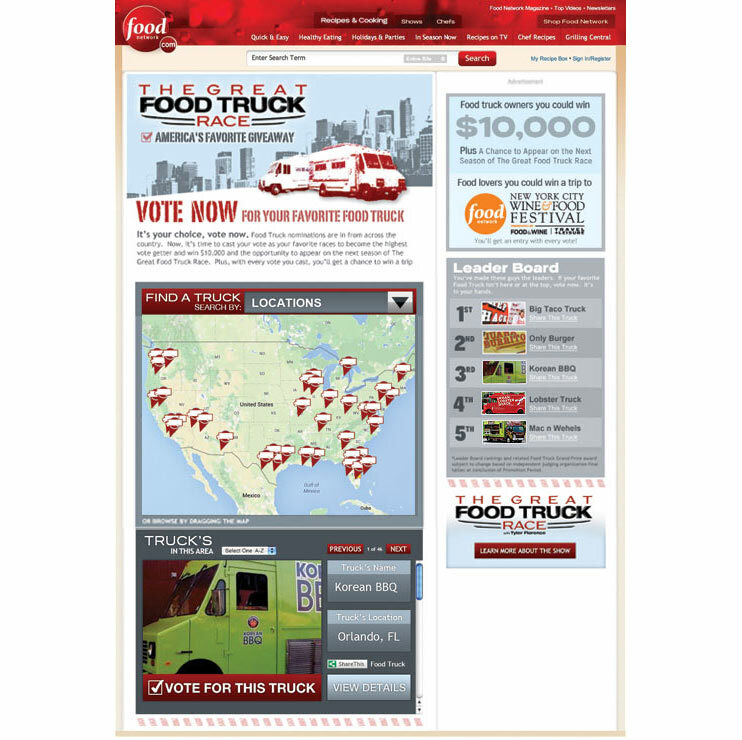 The website included Twitter feeds from the food trucks, Facebook sharing and real-time leaderboards. Pomp Productions was contracted by Team Digital to build the front-end functionality, Google Maps, Twitter and share integration, as well as the full database development and SMS voting integration.